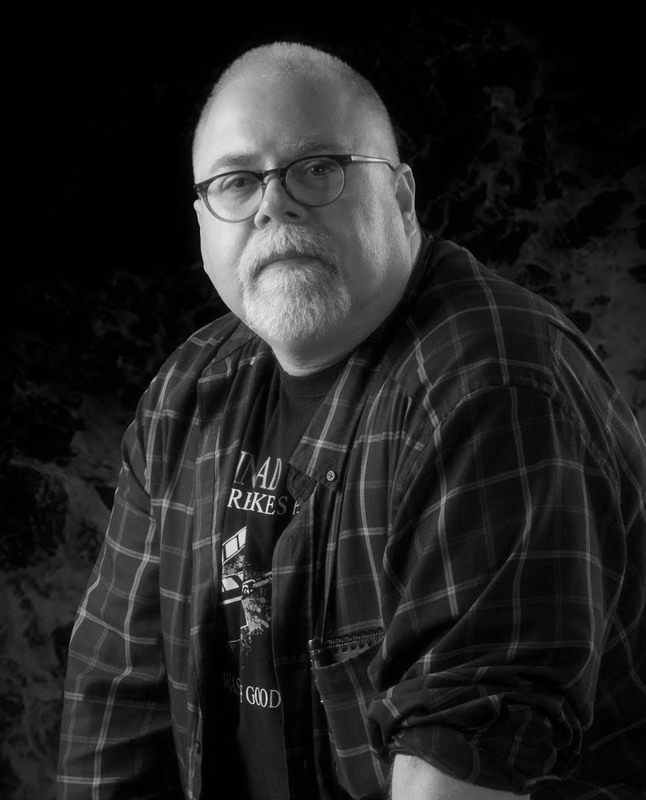 Today I’m pleased to host fellow Booktrope author, Eric Turowski, writer of horror, suspense, and thrillers. 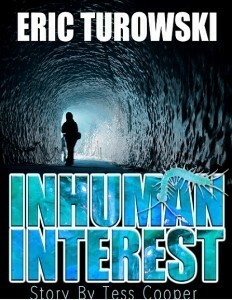 His newest release, Inhuman Interest is available NOW. While I tend to put a lot of humor in my books, especially the latest one, Inhuman Interest, I’m not what most people would consider a funny person. Spontaneously funny people, I think, are to be admired. In my case, I don’t have a quick wit, or a snappy personality or even remember jokes that well. In addition to not being naturally funny, my personal sense of humor is somewhat skewed. It takes a lot to make me laugh, generally. Yet the stupidest thing can set me off. Like those Can-Am motor trikes–Spyders. Especially the green one, the one that doesn’t look so much like a “spyder” as a three-wheeled frog. Why do I find them hysterical? I don’t know. When I start to snicker at one, my fiancée rolls her eyes. So when I write humor, I stick to the stuff I know is pretty much funny to everyone. Even if you don’t admit it to yourself. These are, broadly characterized, falling down, very old people swearing, snarky one-liners and fart jokes. Why is it funny when people fall down? A better term for this might be slapstick, but I’m no real student of comedy. Maybe I’m sick, but if this is true, it’s genetic. I got it from my mother. Think about it, though—would we have twenty-five seasons of America’s Funniest Home Videos if we didn’t enjoy seeing people spin wildly out of control, crash into stuff and fall down? Maybe it’s sort of an instinctive sense of relief that it isn’t us doing the falling. When very old people swear, especially little old ladies, it’s funny. This is probably because in our minds, we think of oldsters as kind, giving grandparent figures. That sweet little old lady, that kindly little old man, and the like. Upon letting loose, with the vocabulary of a sailor, the juxtaposition of sweet and foul is somehow irresistibly funny. This is why Betty White’s star is on the rise all the time, I figure. Snarky one-liners, in my writing, are situational and character-driven. Sometimes, when I’m lucky, they just pop out in the dialogue. More frequently, they have to be crafted, re-written, reconsidered and slept on. They are a necessary part of the action, breaking up the horror or suspense to keep the story moving quickly forward. On occasion, these one-liners also act in place of a few paragraphs of exposition. Once again, the use makes the story surge forward. And fart jokes. George Carlin was right when he said farts are funny. They are funny in their own right, natural comedy mines that go off unexpectedly. When you have something that humorous to begin with, a little description goes a long way. I often use musical terms to describe the sound, like glissando, fortissimo and embouchure. Using sophisticated, classy two-dollar words to capture the essence of flatulence cracks me up. I literally sit at the computer and laugh. At that point, I figure it’s funny. Either that or I need therapy. I don’t include black humor in the list of fool proof funny stuff. Black humor isn’t really meant to be laugh-out-loud funny as much as it is to break tension. Lennie (the late, great Jerry Orbach) on Law & Order always delivered the best dark humor lines as a close to the opening scene. Ironic, wry, amusing, yes, but as viewers we also understand that nobody is really laughing at murder. Sure, this kind of dark humor usually comes in the form of a zingy one-liner, but given the overall dark tone of the books, I keep this in reserve, using it as a characterization tool rather than a go-to funny. You can see what I mean by checking out Inhuman Interest (Story By Tess Cooper #1). Hopefully, you’ll get a few belly laughs during the suspense. Either that, or recommend a good psychologist. You can learn more about Eric at www.ericturowski.com.